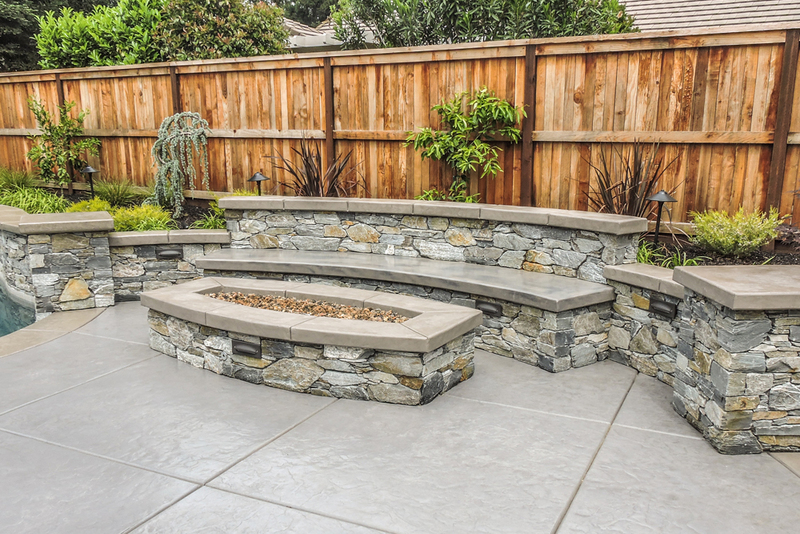 The perfect touch to a gorgeous backyard living experience is a state-of-the-art outdoor fireplace. 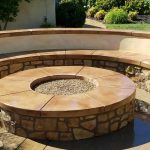 It’s the perfect addition to brighten and enrich an outdoor living experience for both guests and homeowners. 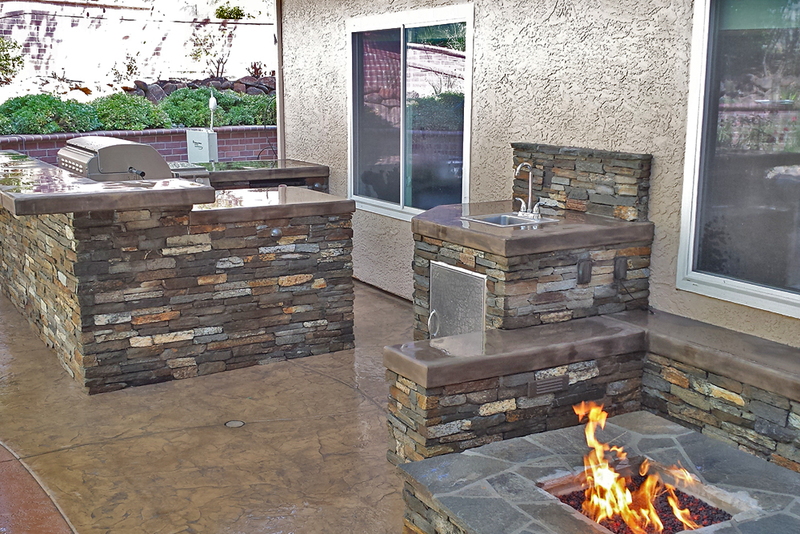 This specific project was created by and morphed into the homeowners’ unique vision of their outdoor fireplace. The unique setting of the stones really catches roaming eyes. 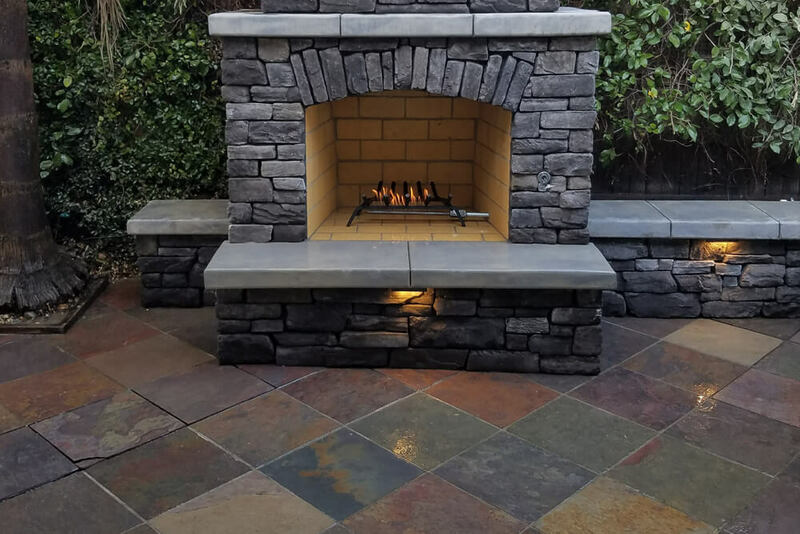 The purposeful use of El Dorado Stone gives this fireplace a traditional look that matches Sacramento’s historic feel. 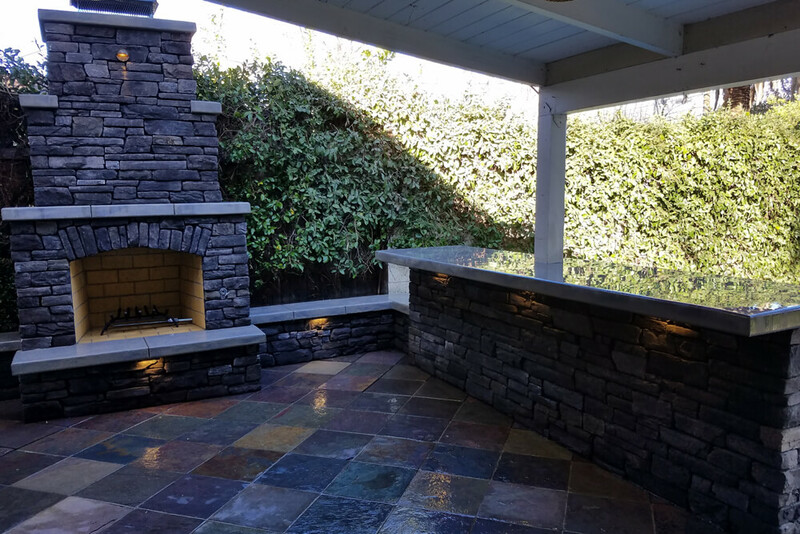 With Sacramento’s cool summer nights and chilly evenings, this wood burning fireplace is a great match for this homeowner. Having an outdoor, fully functioning fireplace on a beautiful summer evening is lovely and useful. 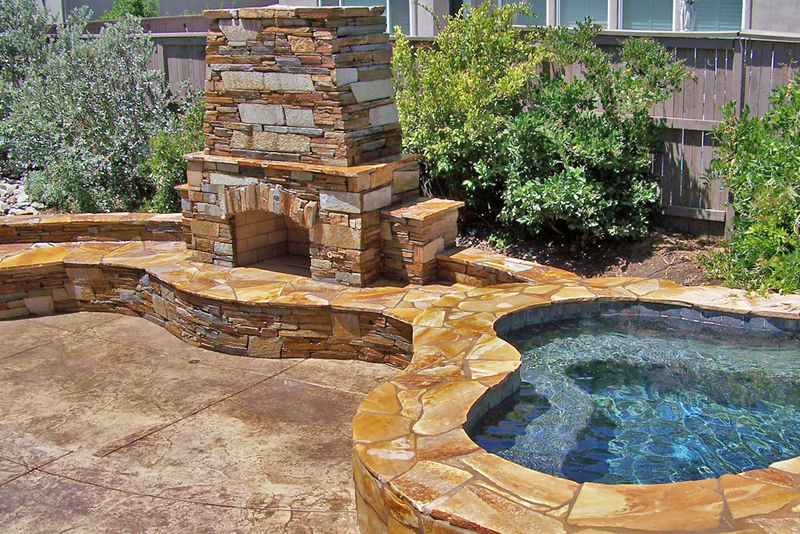 It is also ideal for cooler nights where a wood burning fireplace is necessary to keep warm. 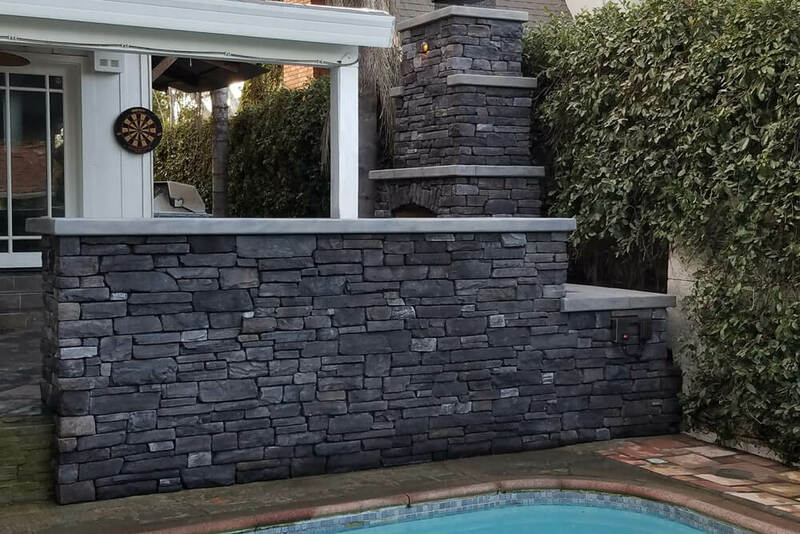 Friends and family alike will enjoy this homeowners’ custom made outdoor fireplace because of their unique choice in design. 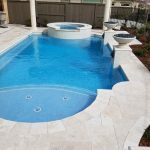 Here at Custom Image Hardscape, we take pride in our hard work and try to exceed homeowners expectations! If you have any questions or potential requests, contact us! Built in the historic downtown Sacramento, the design of this wood burning fireplace matches the cities remarkable antique look. 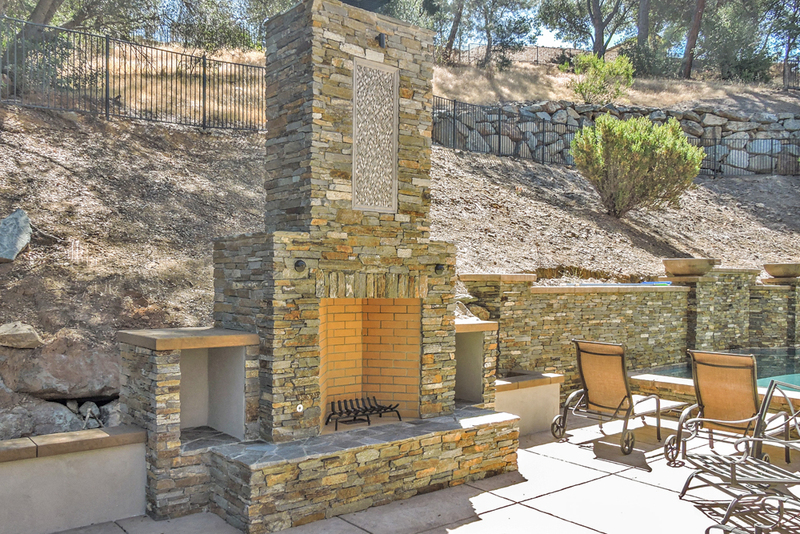 This traditional wood burning fireplace takes the homeowner back in time with its use of rustic El Dorado Stone. The purpose of the placement is to give the fireplace a look that matches the historic town. 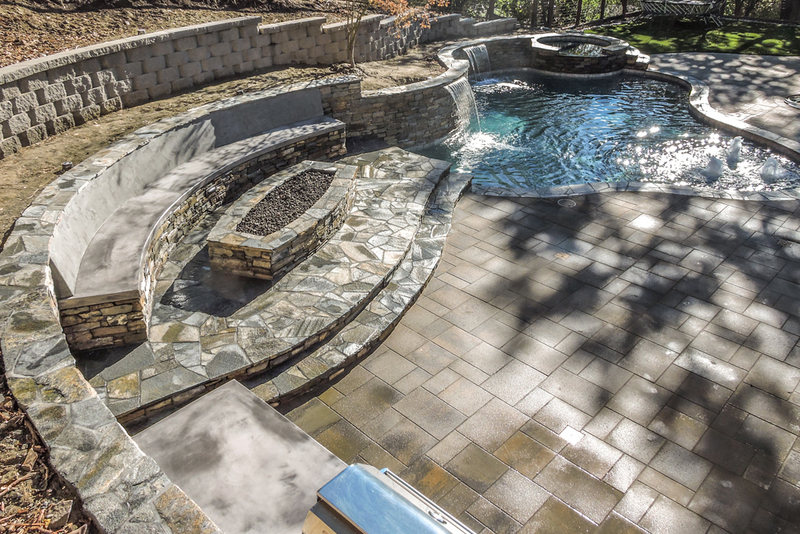 The natural tones in the El Dorado Stone highlight the many hardscape design options made possible by the high-end, detailed work we are known for. This fireplace is elegant due to its ‘old-school’ traditional style and is perfect for the homeowner. 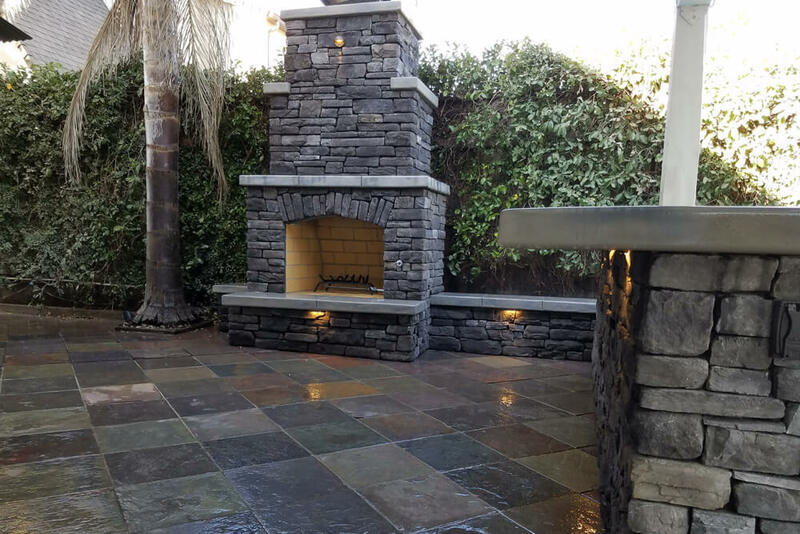 Set amongst flourishing greenery, the contrast of the colors from the El Dorado Stone and the bushes and trees behind it gives the fireplace an alluring look. The El Dorado Stones used are earthy natural colors that are shades of brown. 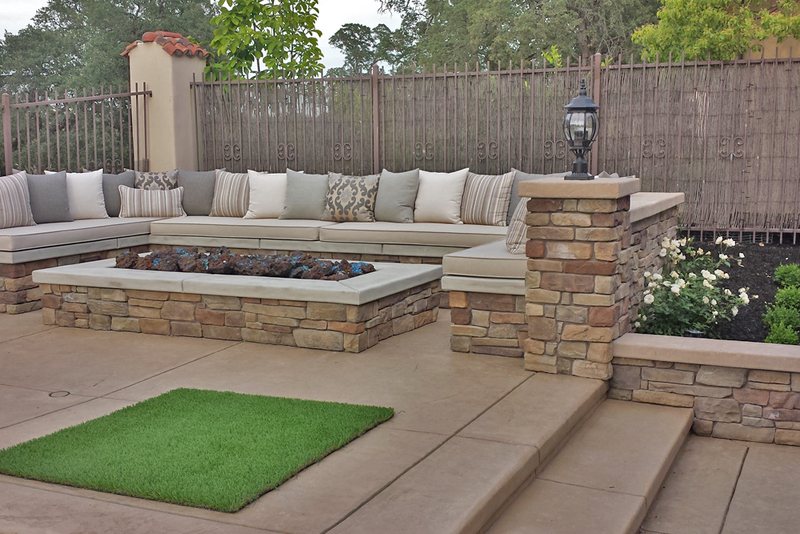 The backyard is full of greenery and really highlights the earthy rustic colors from the fireplace. 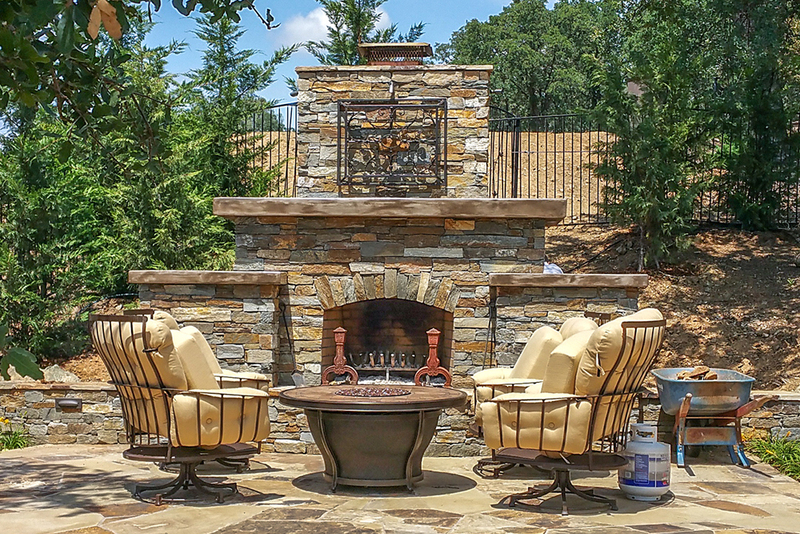 Our purposeful use of contrast in colors really spotlights this outdoor fireplace as being the center of attention. 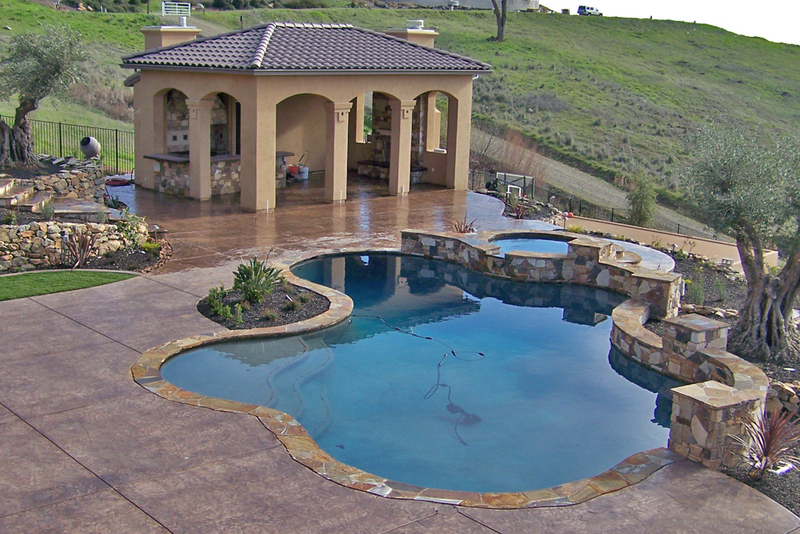 The choice in tile flooring is another pleasant feature of this Hardscape design. The tiling resembles the earthy neutral colors the fireplace is sporting. 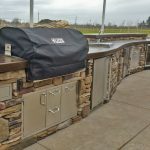 These small details are just a couple of things that make us, Custom Image Hardscape, exceptional fireplace builders in the Sacramento area. 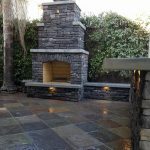 As one of the best fireplace builders in Sacramento, we create spectacular, fully equipped wood burning outdoor fireplaces. 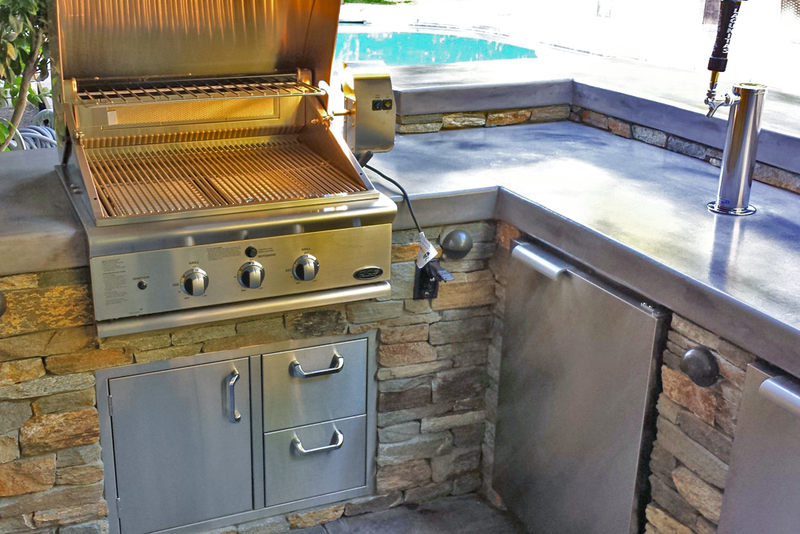 Some of these features include weatherproof outlets, LED lights and a natural gas log igniter. Built in the middle of historic downtown Sacramento this wood burning fireplace has a relaxing air around it. 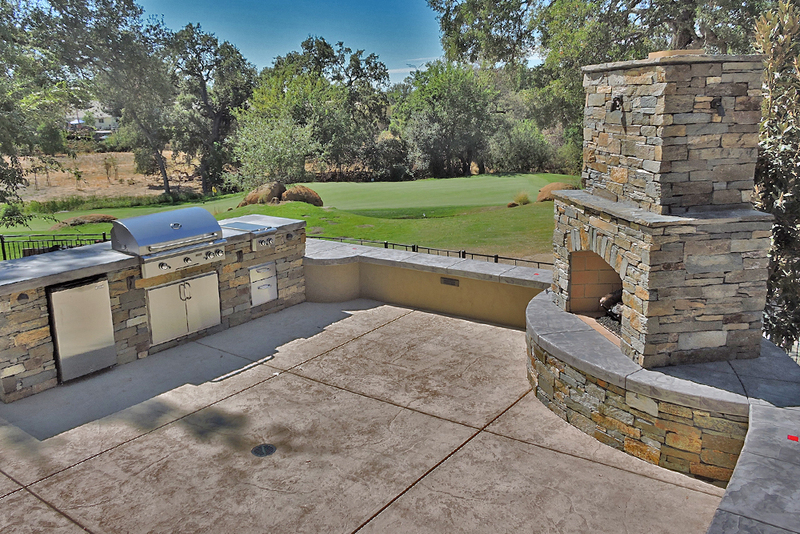 Sacramento, known for its cool nights, is a perfect city for a wood burning fireplace. The stunning fireplace not only looks amazing but is useful for those chilly nights. 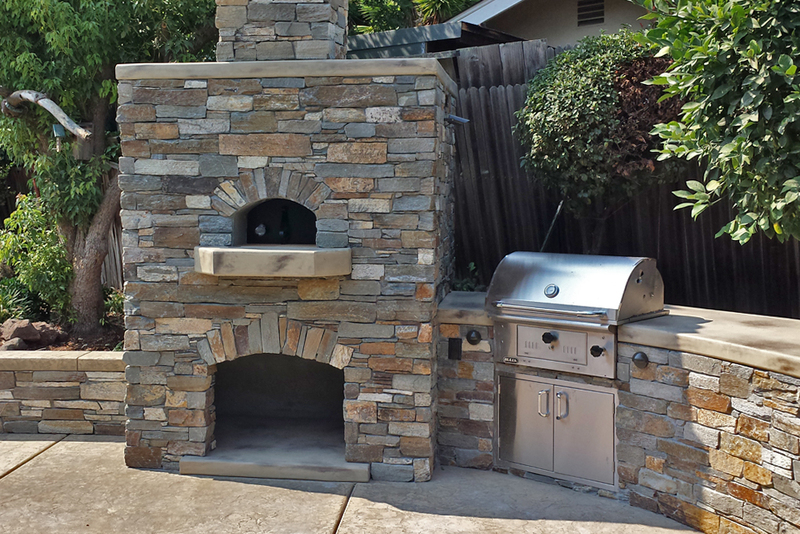 This Sacramento homeowner chose to install an outdoor fireplace due to the extremely cold nights. 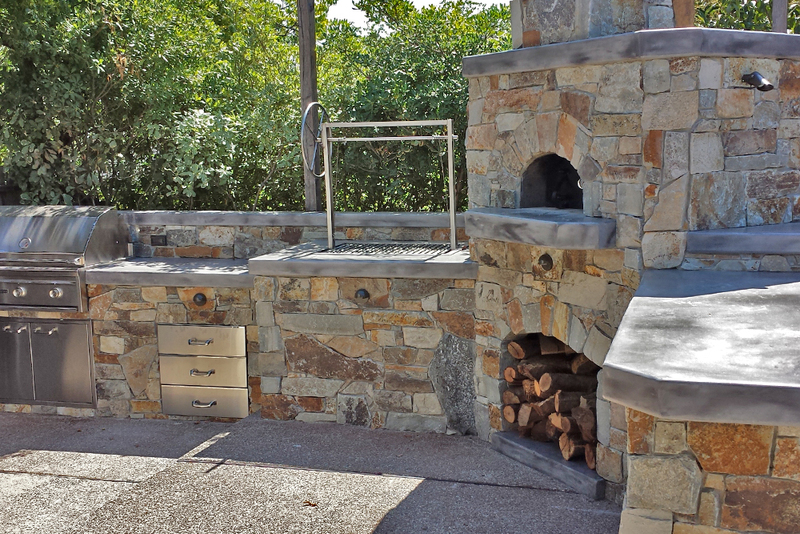 The features, functionality, and design for this project allow the homeowner to easily winterize their custom outdoor fireplace to withstand those extremely cold nights. 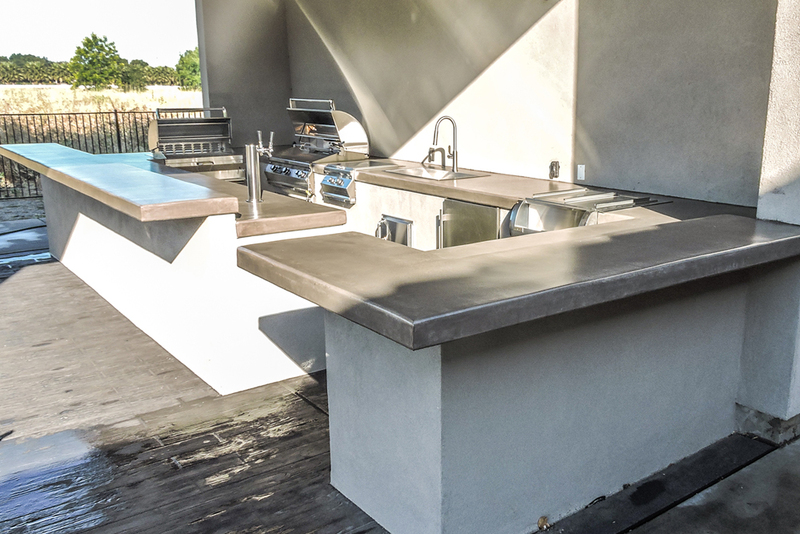 While relaxing outside, these 110 GFI Weatherproof Outlet come in handy. 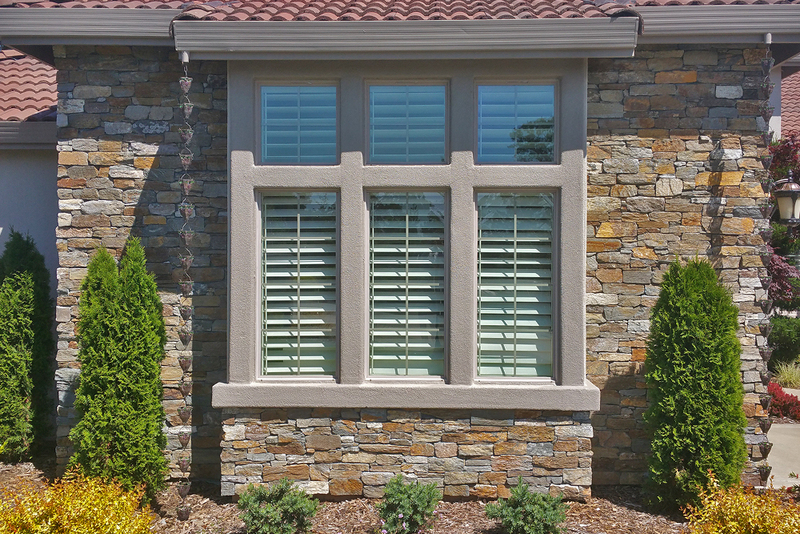 Living in a digital age, homeowners and guests both are sure to want to use their phones and devices. These built-in power outlets are super useful for charging cell phones and their accessories. They can also be used to play music from speakers and radios, keeping the energy alive. 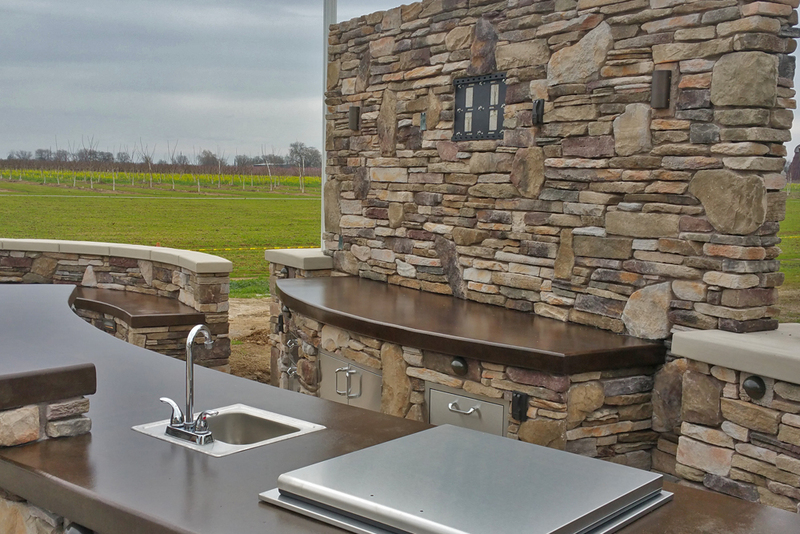 Not only are these built-in power outlets convenient, but they are also weatherproof making them safe! 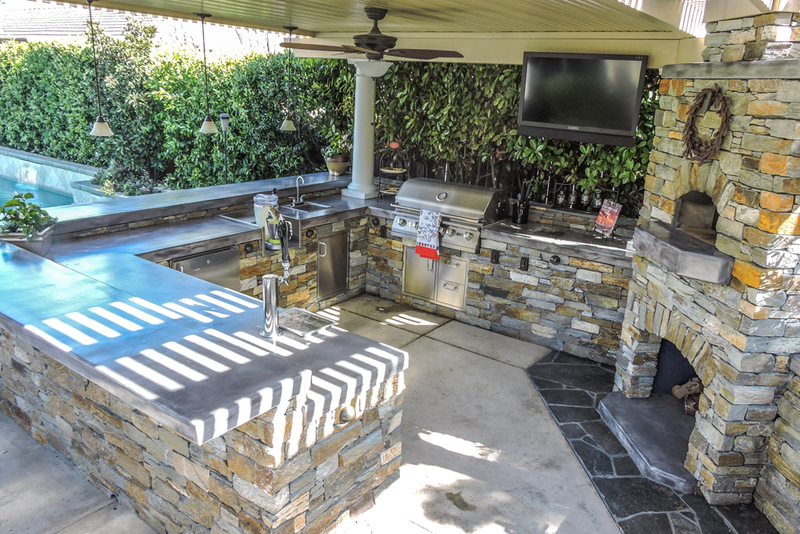 Another gorgeous feature is the use of LED lights. The LED lights are placed in locations amongst the wood burning fireplace to emphasize the fireplace throughout. They are placed underneath the smooth concrete caps installed into the fireplace. They brighten up the inside of the fireplace and right above the entrance of the fire creating an illuminating effect. 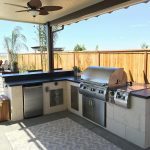 At Custom Image Hardscape, we serve the Sacramento area with unmatched outdoor kitchen designs. 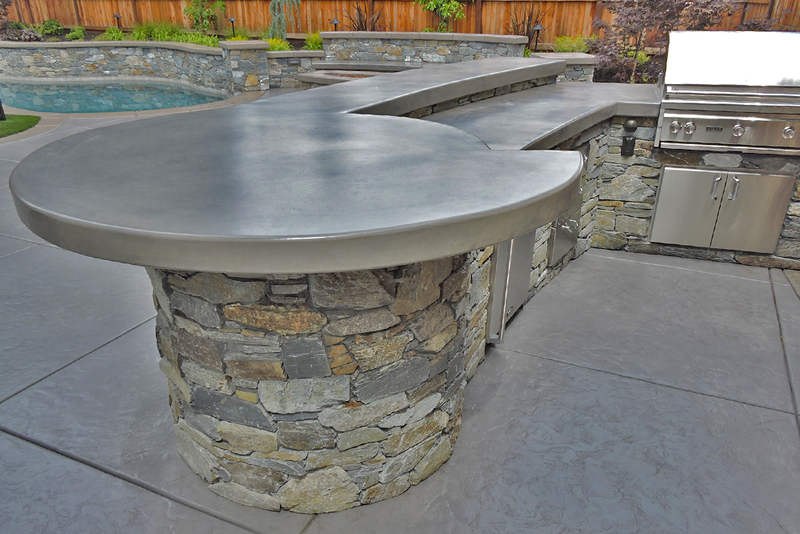 And we’re the top rated company in the area, including Rocklin, Roseville, Folsom, and El Dorado Hills. 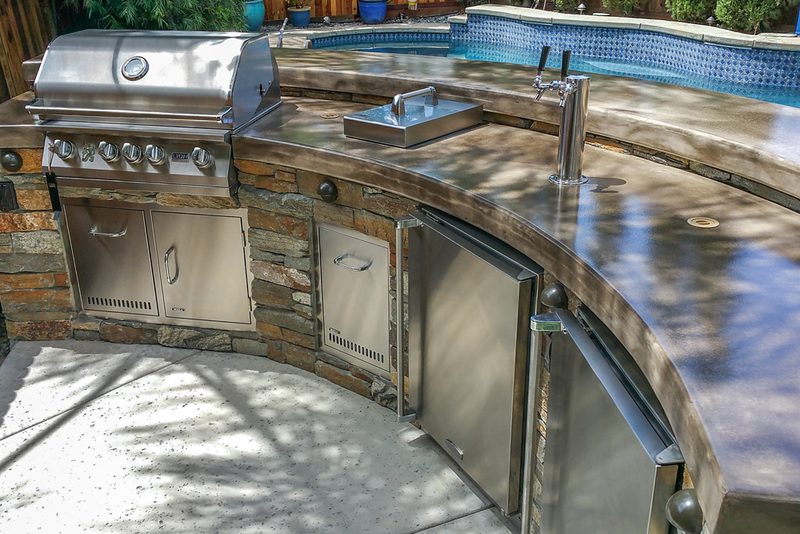 Building custom luxury outdoor kitchens, fireplaces, or a poolside decking is our craft and our specialty.